Come to the Sudwerk Dock Store and hear local scientists give fun, accessible talks about astronomy related topics. There will be discussion of astronomy in the news, Q&A and as well as astronomy trivia with special prizes. 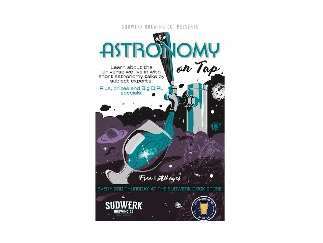 Astronomy on Tap will take place at 6pm-8pm the third Thursday of every month. The event is free and open to all ages. The Dock Store is kid friendly and a food truck is often present, outside food is also allowed.